Radiance Cohousing will be opening its doors to the public on Saturday, November 10. Please join us for a tour of Saskatchewan’s second completed cohousing project and the first cohousing development in Canada to pursue Passive House certification. 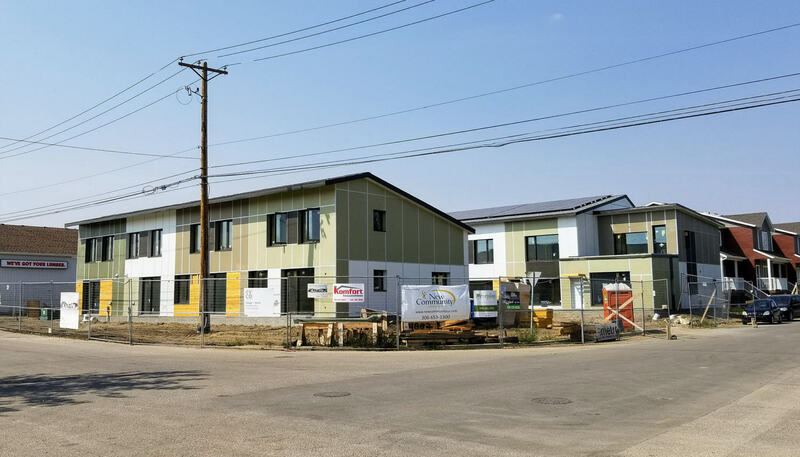 This one-of-a-kind project is an outstanding achievement in our community that demonstrates what’s possible in terms of sustainable housing in cold-climate settings. Tours will be offered at 12:00, 1:00, 2:00, 3:00, and 4:00pm. On the tour, you will learn about cohousing, Passive House, and the Renewable Rides partnership. Radiance Cohousing’s open house will be taking place as part of International Passive House Days, an event where Passive House owners, builders, and designers from around the world give others the chance to experience the benefits of these buildings first hand.